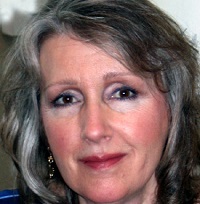 Karen Terhune writes fiction, poetry, and creative non-fiction. In addition to the California Writers Club, she is a member of SCBWI and the Authors Guild. As a volunteer for the East Bay Regional Park District, she was privileged to serve as a co-author with Traci Parent for Images of America: Black Diamond Mines Regional Preserve, highlighting the diverse mining and ranching history of this incredible park. Karen’s short story The Pickled Pepper Man appeared in the César Chavez Memorial issue of San José Studies under the pen name Louise Church. Additional creative pursuits include watercolor painting, mixed media art, photography and gardening.